My father has metastatic colon cancer. I've been researching different types of therapy, including nutritional therapy. What is your opinion regarding macrobiotics? Is this something safe and has there been any scientific study conducted on it? The macrobiotic diet is a very restrictive vegetarian diet. As with any diet that limits food choices there is the potential for nutrient deficiencies. 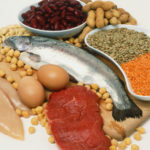 Consequently if you follow the diet you should consult a registered dietitian to make sure you are getting all the nutrients you need (protein, vitamins and minerals). If deficiencies exist, adjustments can be made to the diet to ensure it is nutritionally complete. Macrobitics is not limited to just foods, it also a philosophical and lifestyle program that also includes exercise and meditation. Thus, going to a macrobiotic school or instructor is generally suggested. Making dietary and lifestyle changes is difficult enough for a person who is well, but can be a hardship for a sick person such as your father. Also, a plant-based diet may be hard for a person with a gastrointestinal cancer to tolerate. If your father wishes to try the diet you may be able to adjust the regimen to his needs, however if he is not committed to the diet these issues would only provide more stress and upset. So far no studies have shown that the macrobiotic diet can cure cancer. However the National Institutes of Health is studying the diet. Certainly plant based diets have been shown to have a role in preventing cancer (as well as other chronic diseases) and a person who works at maintaining their nutrition status after a cancer diagnosis may be better able to deal with cancer treatments and generally feel better.